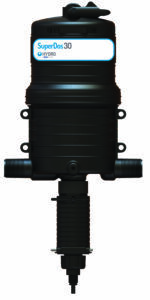 Hydro Systems offers total solutions to dairy farm sanitation. 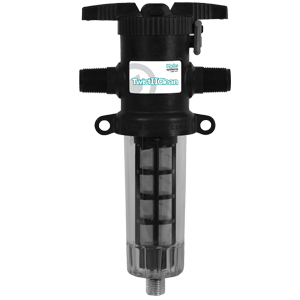 Hydro Systems’ dispensers and injectors assure worry-free solutions designed for udder health, parlor sanitation, hoof health and countless other dairy applications by consistently and accurately dosing each and every time. Hydro’s patented proportional injection technology means less waste and a more dependable dilution of cleaners, sanitizers, and other concentrated chemical products. 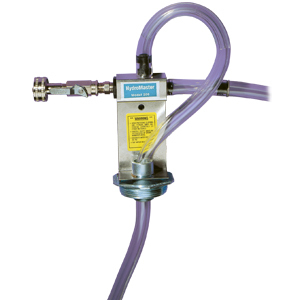 Over the years, our technologies have offered the best dispensers and injectors for the dairy farming professional. Hydro builds long-lasting relationships with our customers and offers custom, industry-leading solutions that positively impact their business. Protect your herd against hoof rot by using chemical dispensers that accurately dilute and dispense hoof bath solutions. Properly maintained hoof baths help prevent lameness and the spread of disease. Apply bacteria killing chemistry in between milkings to clean and disinfect milking equipment. Hydro Systems’ SuperDos is the perfect product for this application. 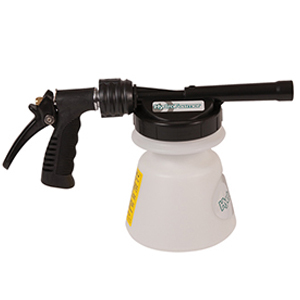 Hydro Systems offers a line of foaming and spraying devices perfect for general dairy farm sanitation. The HydroFoamer works wonders on calf hutches and the FoamMaster is the perfect solution for ridding the milking parlor of bacteria. 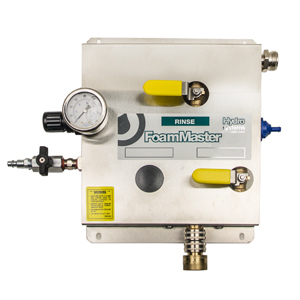 FoamMaster power cleaning systems automatically dilute concentrated chemicals with water, and use compressed air to generate a thick, rich, clinging foam. Click the link to see it in action in a real dairy parlor. Hydro Systems has a variety of teat dip dispensers to help reduce the chances of contracting mastitus. 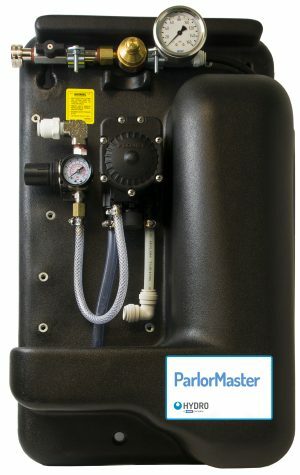 The ParlorMaster dilutes and delivers concentrated teat dip, drum-to gun. TeatBrite delivers ready to use teat dips. Hydro Systems’ pumps have been precisely delivering chemicals in a variety of applications for over 50 years. 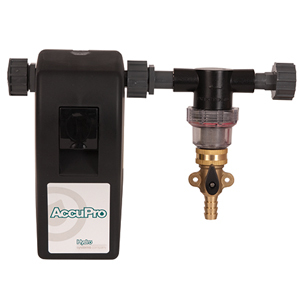 These reliable, easy to install systems are now configured for use with Dairy Farm CIP operations. Hydro Systems’ dairy experts are at the ready to provide you with all of the technical support you need along with our friendly team of customer service representatives. Our goal is to help your dairy succeed through efficient sanitation. Freshly cleaned and sanitized towels are a critical factor on any dairy to ensure your herd remains healthy. Our laundry equipment cuts laundry cost with more efficient use of detergent and other chemicals.